Infrared for every day. SF6 gas detection when you need it. Increase efficiency and save money with a top performing infrared camera that delivers state-of-the-art SF6detection – conduct two critical functions with a single tool. 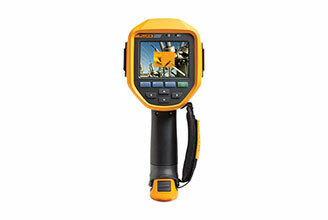 Best of all, it’s affordable enough to own, so you can conduct infrared and gas inspections whenever and wherever you want without having to pay heavy rental charges or hire expensive contractors. Two tools in one. At a one of a kind price. 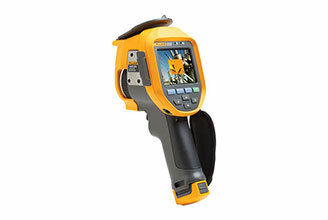 Using the technology from Fluke’s top performing pistol grip camera, the Fluke Ti450 SF6 easily switches from infrared to gas mode. 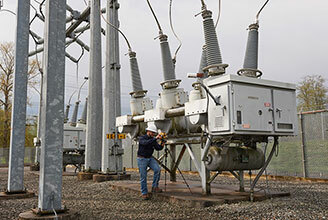 Making it easy to change modes on the fly when you are in the field. Two critical solutions in one remarkable IR camera. The new Ti450 SF6 Gas Leak Detector tips the scales on performance and affordability. With its pistol grip comfort and point-and-shoot convenience, even the tough spots become easy to diagnose. 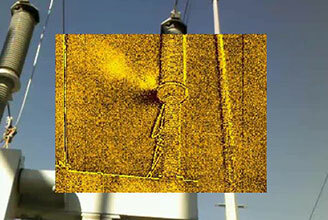 With the added feature of SF6 pinpoint detection, you can get the analysis you need anytime, anywhere. Companies are no longer stuck in the challenging position of having to perform inspections, tracking SF6 leaks and managing the extremely high costs of buying or renting the equipment.